Seabrook Nuclear Power Plant is expected to get approval to continue operating through 2050 by the end of this month, after regulators finished determining the facility is safe to remain open. Annie Ropeik has more. Seabrook’s reactor is the largest single electric generating unit in New England. Located on the coast near the New Hampshire - Massachusetts border, the plant is currently licensed to run through 2030.It’s the only nuclear station in the country known to be experiencing a chemical reaction that’s causing cracks to spread in its concrete foundations. The cracks were discovered nearly a decade ago – around the same time the plant’s owner, Florida-based NextEra, first asked the Nuclear Regulatory Commission for a 20-year license extension. NRC spokesman Neil Sheehan says after years of exhaustive review, officials have ruled the concrete issue is under control and the plant is running safely. “The NRC staff believes, at this point, there’s no impediment to issuing the license amendment and license renewal,” he says. Sheehan says the NRC expects to approve that license amendment, which focuses on monitoring and management plans for the cracks, around Jan. 22 – and the license renewal around Jan. 30. He says it would allow NextEra to immediately begin implementing its plans to address the cracks, under ongoing government oversight. The license extension itself wouldn’t begin until 2030. The approval timeline was first unveiled last week in a public letter from an NRC lawyer to administrative judges at the commission’s Atomic Safety and Licensing Board. Massachusetts and New Hampshire were also notified of the planned approvals “and had no comments,” the letter states. Sheehan says the judges at the licensing board, who make up a “quasi-judicial arm” of the NRC, will still take testimony from the Seabrook watchdog group, C-10 Foundation, at a public hearing this coming summer. The nonprofit contends the concrete cracks and other safety issues haven’t been properly analyzed. They were given intervenor status to raise those concerns at the upcoming hearing. C-10 executive director Natalie Hildt Treat says they’d hoped regulators would wait to decide on extending Seabrook’s license until after the hearing and any subsequent ruling. "It's going to be all that much harder, we think, to reopen or reverse any decisions that have been made by the NRC,” Treat says. Sheehan, the NRC spokesman, says the administrative judges could issue a ruling that would lead to changes in the concrete crack management plans, which could affect the license extension. He says any party could also appeal the judges’ ruling up to the NRC’s presidentially-appointed leadership or to a federal court. 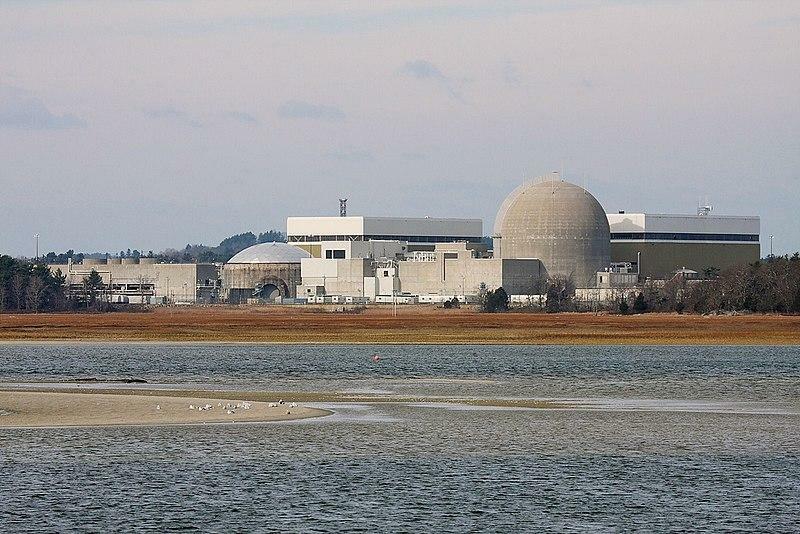 Seabrook will be one of two nuclear plants left in New England after Massachusetts’ Pilgrim Station closes this year.